Liczba stron: 71 Jest to ujednolicona liczba stron, która ułatwi Ci porównanie długości książek. Każda strona Legimi to 200 słów. 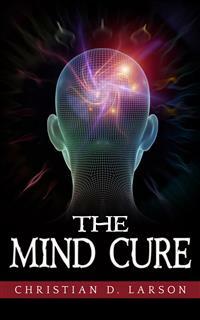 THIS book contains "The Cure of Nervousness," "The Cure of Insomnia,""Good Health for the Mind," "The Prevention and Cure of Despondency" and "How to Remove Fear. "Get rid of nervousness. You can. Learn to sleep well, and thus double your capacity for work. Build up a strong, clear, vigorous mind. Remove all depressing mental states. And get rid of fear, the greatest enemy of man.This book should be in every household. IT IS a well-known fact that a considerable majority of the people in this country are addicted more or less to nervousness in one or more of its many forms ; and as nervousness is the direct cause of all mental ills, and the indirect cause of a great many physical ills, organic as well as functional, there are few things that would be more important than that of finding a method through which health for the nerves could be secured. How to cure this malady has long been a problem. Medicine as a rule avails but little, and the various forms of other therapeutic systems reach but a limited number. It is therefore that the discovery of a remedy that could reach all cases, or nearly all cases, would easily be considered one of the most remarkable discoveries of the age. We may safely state that v/hen people learn to keep the nervous system in perfect order there will be very few cases of insanity, if any, and physical diseases will be reduced at least one half. In addition to this, the power and capacity of mind will be increased to a very great degree. The majority of the fine minds in the world fail to do all they are capable of doing, because their talents are interfered with by nervous troubles of some kind, and these troubles not only tend to reduce the amount of mental energy, but also confuse the intellect and almost invariably misdirect the imagination. There is scarcely a mind living of exceptional ability or genius that is not addicted to nervousness of some form, and that any mind can do its best under such conditions is impossible. The fact is, if nervousness were completely removed from the race more than half of the physical ills, and nearly all the mental ills, would be removed. The strength and endurance of the body would be increased remarkably, and the capacity of the mind would in most instances be practically doubled. That a perfect remedy for nervousness would therefore prove a great boon, to say the least, is evident; and a remedy has been found that fulfills all the requirtments, because from its very nature it simply cannot fail. This remedy will give health to the nerves in every case where it is used, and it is so simple that all who will apply it can do so successfully. That this remedy will remove nervousness in every instance may seem impossible, but when we examine the nature of the remedy we find that its never-failing effectiveness lies in its power to remove the remote cause of what may be termed the immediate cause of this ailment. That condition of the system that we call nervousness comes from discord in the nerve fluid, or what may be called confused vibrations in the electro-magnetic energies of the body. This is the immediate cause; but back of this cause there is a remote cause ; that is, that condition that originally produces the confused vibrations in those energies. The nerve fluid we speak of may be termed human electricity, as its nature and actions correspond exactly with electrical currents, though, of course, it is much finer in quality than ordinary electricity. The human brain may accordingly be termed a dynamo, because those fine currents are generated there; and the nerves may be termed the wires that carry this fluid or electricity to every part of the body. The functions of this nerve fluid are many. Every thought, state, condition or action produced in the mind is carried all through the body, over these nerves or wires, by the force of this fluid, and in return everything that is taking place throughout the system is conveyed to the brain by the same process. The nervous system is therefore a human telegraph system through which the mind is constantly kept informed concerning the events of its own world, and constantly giving directions with regard to what is to be done in every part of its world; and we can readily understand how false news or information can be transmitted, and how urgent news can be delayed in its passage, should these finer electrical currents be disturbed. When a person is suffering from nervousness he is frequently deluded concerning the conditions of his system, the reason being that he is getting false news because the telegraph system is not in perfect order. In like manner, such a person may fail to get the exact facts concerning his conditions. There may be conditions brewing in his system of which he is not aware, because the news is lost on the way. The same state of affairs, however, is frequently brought about by drugs. When you take drugs to stop pain, you do not remove the pain; you simply deaden the nerves so that the sensation or news of the pain cannot be carried to the brain. Occasionally such a process may be permissible, but if we interfere too much with the news-carrying function of the nervous system we will cripple it to such an extent that most of the sensations received will be false or magnified. When people imagine that they have ills that do not exist in their systems a crippled or perverted nervous system is generally the cause. They are getting false news about their own conditions, and they think it is true because it seems so real. Not everything is true, however, that seems real. The fact is that the more disturbance and perversion there is in the nervous system, the more real will also its false impressions appear to be; and the reason is that a disturbed nervous system is abnormally sensitive. ANOTHER function of the nervous system is to transmit creative energy to every part of the body. Every cell in the system is constructed or repaired by creative energy, and this energy is conveyed by the nerve that enters the locality of that cell; consequently when the nervous system is out of order the process of repair, or cell construction, will be retarded in many places. When this process is interfered with, or the normal activities of the process are disturbed, the system will not only be left in bad repair, but false growths may be produced. When the creative forces are disturbed or misdirected in any part of the system they cannot continue in normal cell construction, but will in many instances begin to produce false cell construction. In this manner tumors, cancers, goiters, cataracts and all sorts of unnatural growths may originate. And in this connection we should remember that practically all abnormal growths in the human system can be traced back to nervous conditions of some form. Perfect health for the nerves, therefore, if maintained all through life, would absolutely prevent all such unnatural growths in the human system. When the creative energies of the system continue in their normal activities no unnatural growth can possibly be formed, and to keep those energies in their normal state of action the nervous system must be in order; that is, every nerve must be in good health. To go into details and outline fully the various effects that follow the actions of the nerve fluid would lead us into every phase of physiological psychology, and volumes would be required. It is not our purpose, however, to present a full treatise on this vast subject in this connection, but simply to present in the briefest manner possible the practical application of an effective remedy for the nerves. The various effects of the nerve fluid in all its functions will be right when the cause is right; and the cause is right when the vibrations of the electricity of the body are normal. To produce and maintain such normal vibrations must therefore be our purpose. It has been stated that confusion among the vibrations of the nerve forces is the immediate cause of nervousness, and also that this force is generated in the brain; therefore, to find the cause of this confusion we must go to the brain, or rather to the mind. When we analyze the mind we find that every mental attitude produces a corresponding action in the brain and modifies to a degree the forces that are generated in the brain. As the brain is the dynamo generating nerve forces, or the electrical forces of the nervous system, it is evident that a disturbed mental state producing a corresponding action in the brain will confuse the vibrations of the forces generated in the brain during that particular state of mind.